Mitsubishi Hitachi Power Systems (MHPS) Europe recently reached an important milestone in its project in Greece: the first boiler column was set for the Ptolemais V lignite-fired power plant. The setting of the first boiler column in Ptolemais proceeded without any great ceremony. 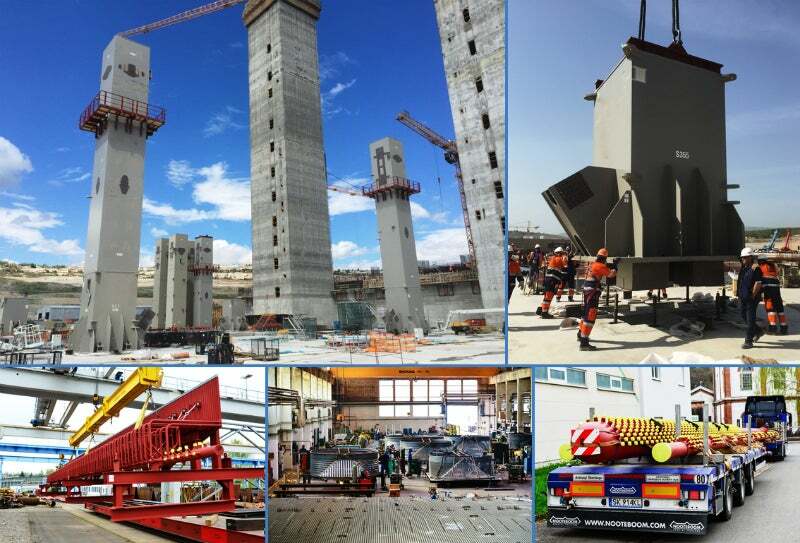 Only construction site personnel from MHPS Europe, from the customer TERNA, and representatives of the Greek energy supplier Public Power Corporation (PPC) were present at this important milestone for the new construction project. The setting of the approximately 20-metre-long boiler column was carried out without any problems and long before a new erection schedule coordinated with the customer TERNA, according to Ptolemais V project director Olaf Lipinski. Lipinski added: "This was planned for July 6, but we were able, together with the customer, to bring this deadline forward." Approximately 5,000 tons of material, mostly steel, for the construction of the boiler-supporting structure, have already been supplied to the job site in the north of Greece. The first pressure part deliveries are also on their way or have already arrived on the site, including membrane walls, separators, attemperators, and connecting tubes from Meeraner Dampfkesselbau GmbH. The MHPS Europe subsidiary has a track record going back over 150 years in manufacturing power plant components. Since 2009, the company has also provided detail engineering according to ASME and PED. Meeraner managing director Bernd Klein said: "This order provides further proof of Meeraner Dampfkesselbau’s competence in manufacturing high-grade pressure parts." MDKB’s clients include national and international energy suppliers, as well as power stations and constructors. More specifically, the company works with customers from the steel production and petrochemical industry, as well as operators of waste heat plants, incinerators, and biomass combustion facilities. MHPS Europe has, for Ptolemais V, not only a supply contract, but also a service order (in relation to TERNA). Besides the usual construction management, in the course of the year more and more technical consultants from MHPS Europe will be deployed on the job site. The Provisional Acceptance Certificate (PAC) for the 660MW lignite-fired power plant is expected for the beginning of 2020.